GP38AC 646 at St. Louis, Missouri on April 19, 1980 (Michael Wise). 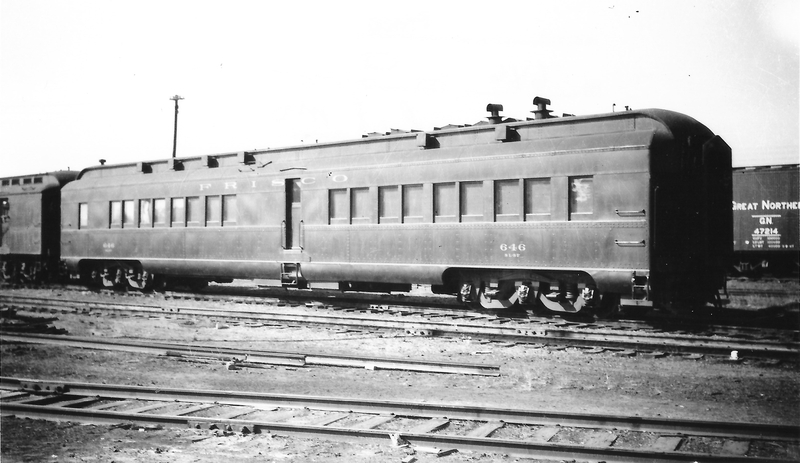 Diner 646 at Springfield, Missouri on September 29, 1946 (Arthur B. Johnson). 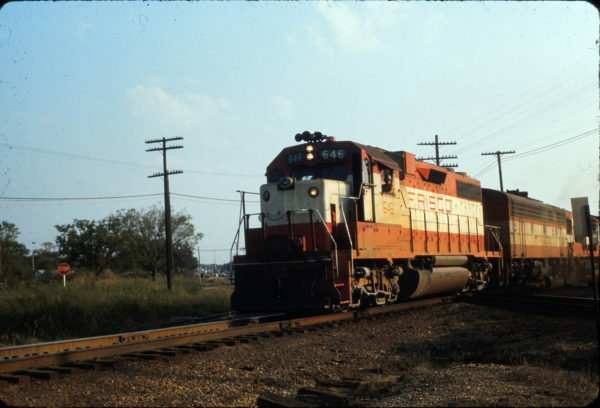 GP38AC 646 at Hoxie, Arkansas on August 7, 1971. 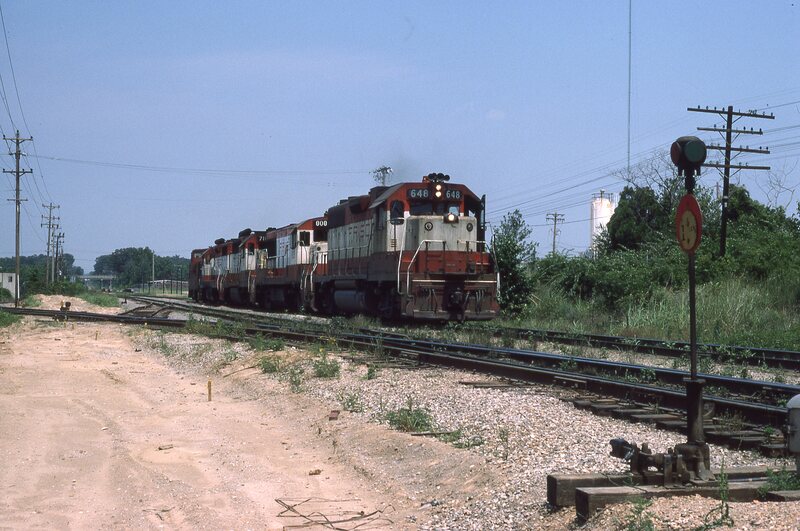 GP38ACs 635 and 646 (date and location unknown). 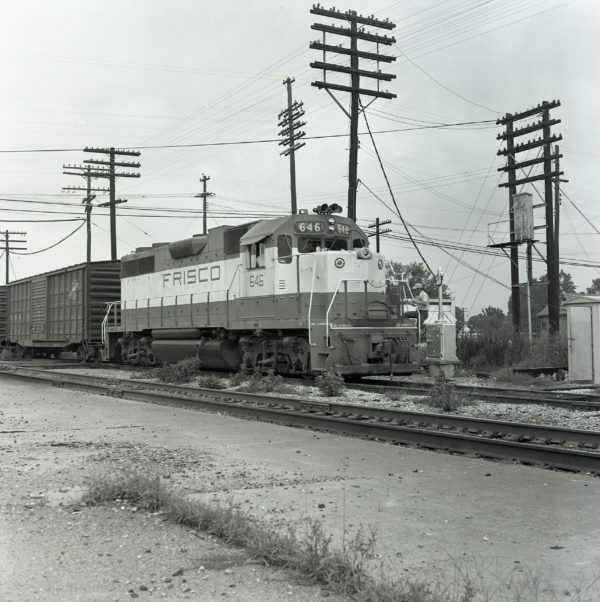 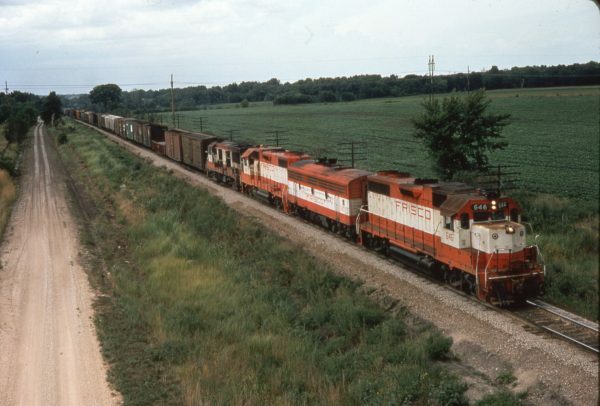 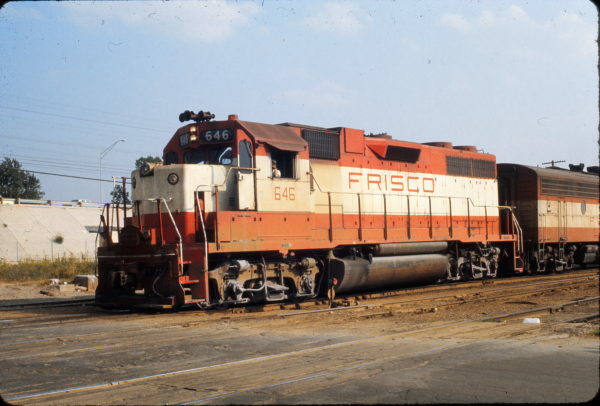 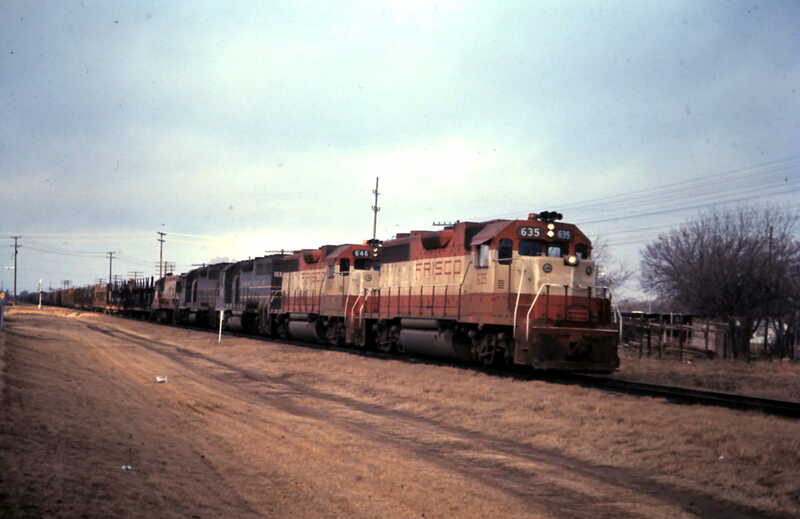 GP38AC 646 and F9B 140 at Hillsdale, Kansas (date unknown). GP38AC 646 and U25B 808 at Memphis, Tennessee in May 1976. 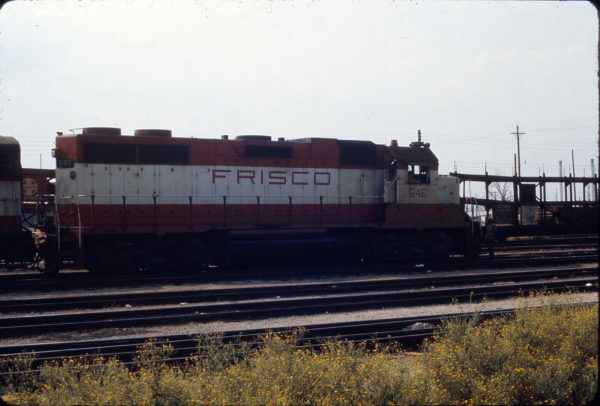 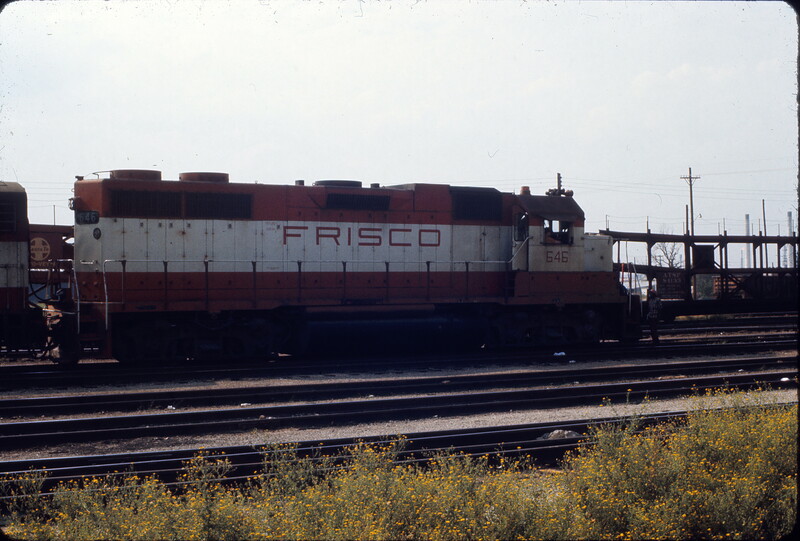 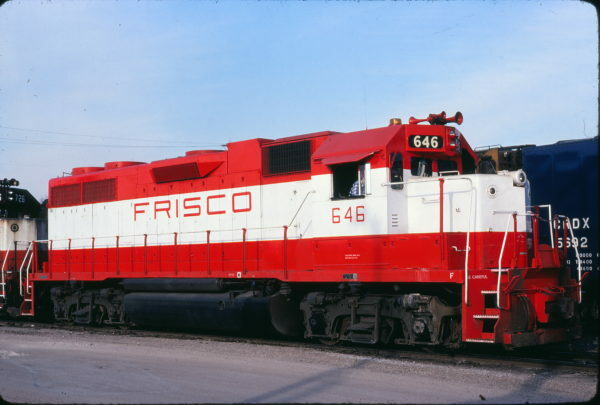 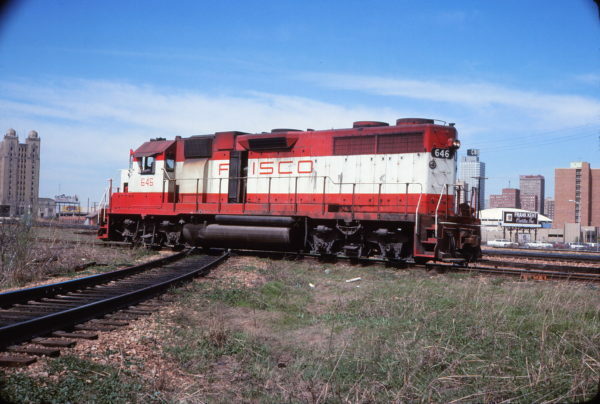 GP38AC 646 at Fort Worth, Texas in April 1977 (David Stray).